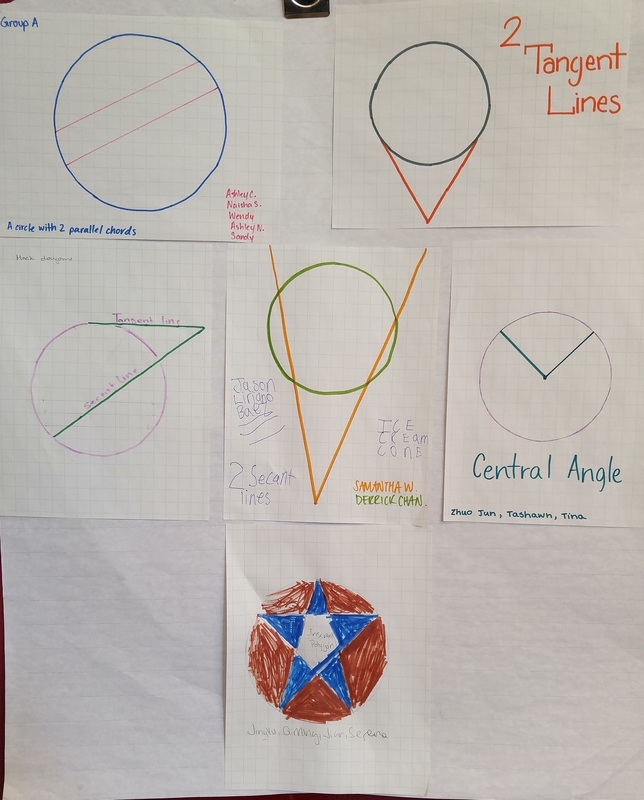 Between my two classes, they came up with almost every scenario I could think of that we would learn in the unit, with the exception of Tangent Line & Radius, which I drew and put in myself. 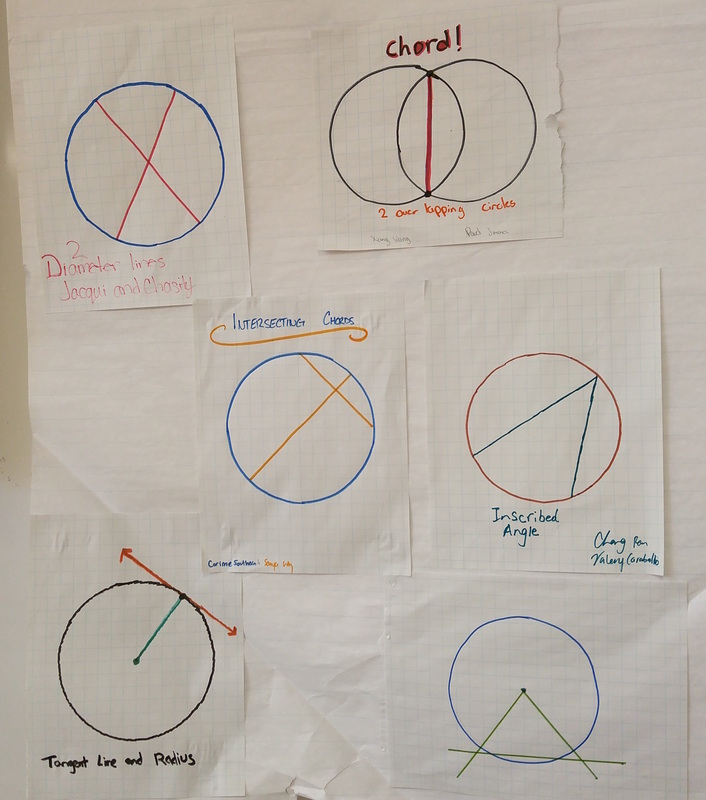 Now they are hanging in the classroom, acting as a guide for our journey into circles. Back in grad school, instead of one big thesis we had to do two research projects – one math research and one classroom research. I don’t think my math research is particularly noteworthy (it was about automating the instrumentation of a harmony given a melody, in the style of John Williams), but I did like my classroom research. Towards the end of the program I was talking with my of my classmates and we said how we both enjoyed it and could see going back into a program to do research in the future. I don’t know if that’s still true for me, but the future holds many possibilities. The focus question for my research was, “Given the three standard methods of solving systems of equations, which methods do students prefer and why?” I had some ideas going into it that held true, some that were thrown out, and some interesting other ones. For example, some of the students preferred a certain method just because it was the one they learned first, even if they knew it wasn’t the best one. Visually-inclined students did not prefer graphing, as I expected, but rather elimination, because of the way the numbers lined up. Some students changed which method they used in order to avoid something – one student had trouble solving equations with x on both sides, so the method they used was the one that didn’t lead to that scenario. You can see more of the findings, and the whole paper, below if you are interested. And yes, if you read it, you’ll notice that the pseudonyms I chose for the students were all based on Doctor Who companions. I also told them math was like a language, a pretty familiar analogy. 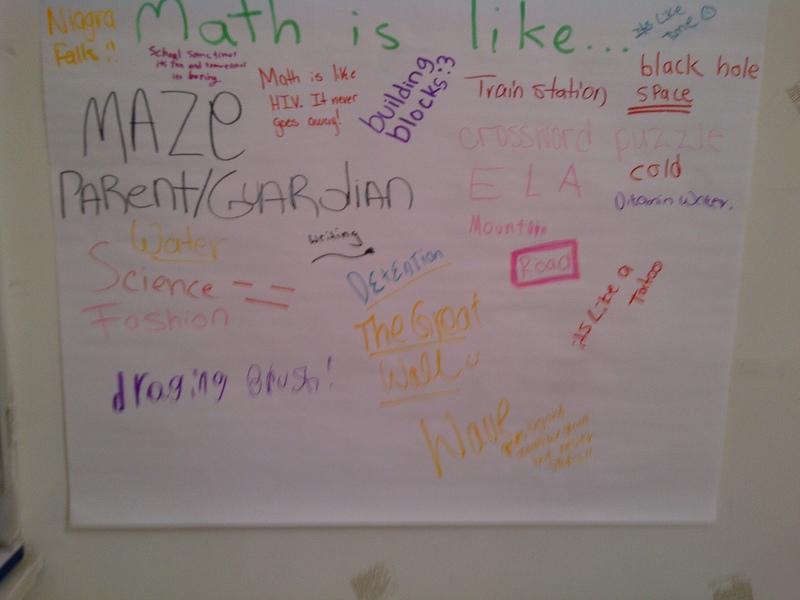 But then I asked them to come up with their own, and they created a poster based on the different answers.